A container of essential supplies is waiting to be sent to hospitals, palliative care units, schools, sports clubs & an orphanage. An Angel donor has offered to match your donations this weekend so don't delay please!  This campaign completes on Monday! A forty foot container full of essential supplies destined for Zambia is sitting in a muddy container park in Rainham, Essex. The Mumba Children's Project has had an unexpected setback that's meant the funding for shipping the container has been lost so please would you help us raise the £8500 to send this container to hospitals, palliative care units, schools and an orphanage in Zambia. Here's what's we are sending. An entire library was donated by Hamstel School in Southend. The video shows the excited children when just a few books were delivered last year! British footballers and teams of all ages have donated their old strip and football boots for our football crazy Zambian boys. We have many teams waiting for kit and our footballers and netballers are building our sanitary pads factory in anticipation for the kit that is in the container! 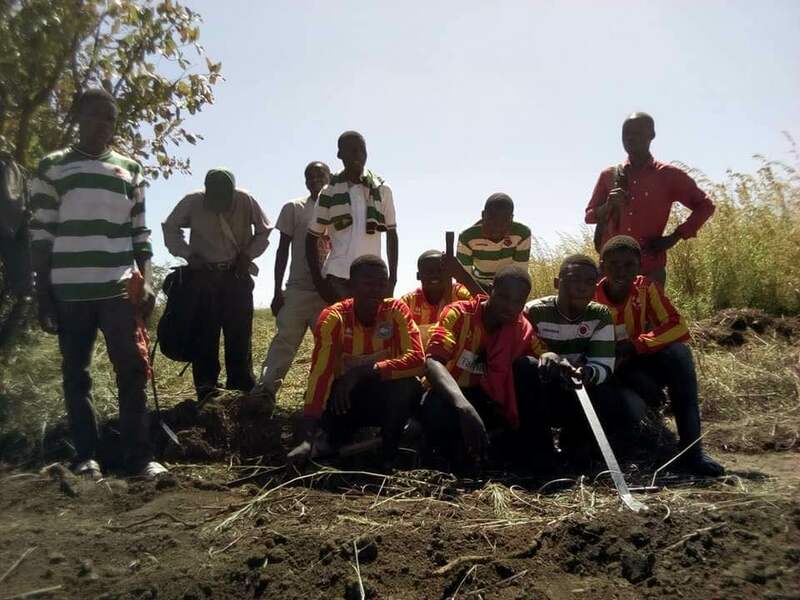 Our footballers in Mpongwe clearing the ground for the sanitary pads factory. 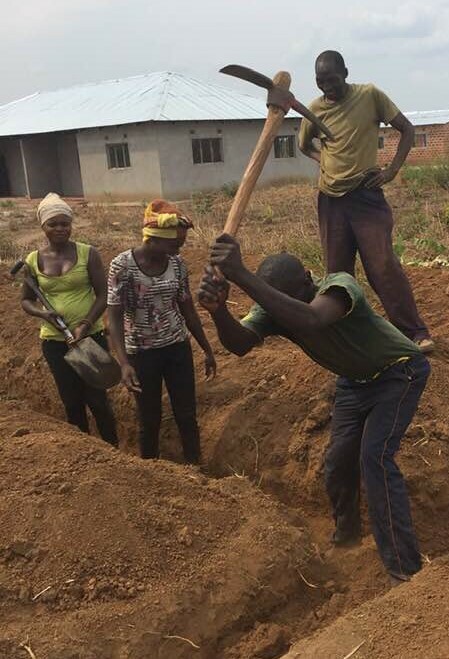 Our netballers are digging the foundations for the sanitary pads factory. Their netball kits and training shoes are in the container in Essex! Literally thousands of pairs of knickers in the container have been donated and are waiting to be sent to women’s groups and schools. Abbey Girls School in Reading donated 1500 packets of knickers. Medical Supplies, destined for palliative care units and hospitals. Surgical dressings, catheters, stoma bags and incontinence pads will be on their way to the palliative care unit and surgical wards in Ndola Hospital and the Cancer Diseases Hospital in Lusaka. Wheelchairs, bicycles and push chairs. 35 wheelchairs have been donated by local charities and individuals. 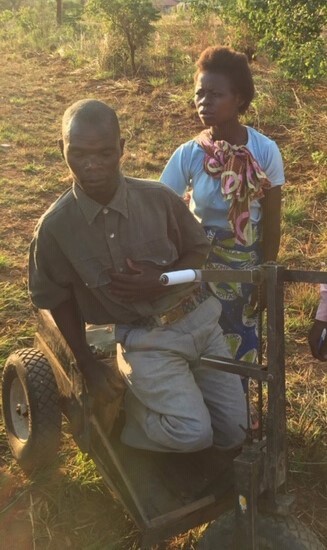 They are difficult to obtain in Zambia and there is even a hand propelled one so this gentlemen can move himself about. Sixteen bicycles are in the container waiting to go! These are sometimes the only transport in rural areas. Sometimes a sick person can be transported to hospital on a bicycle. There are pushchairs for disabled children too, allowing families to stop carrying their children all the time. In our village school the children sit on mats as there are just a couple of desks for over 100 children. The desks and chairs in the container waiting to be shipped will make school so much more comfortable for the children. Our big container contains some proper sports equipment, lots of toys, lego which will go to schools, children's centres, an orphanage and the children’s wards in Arthur Davidson Children’s Hospital in Ndola. Having access to working sewing machines will allow someone to earn a good living for their family. The orphanage asked for sewing machines to teach their young girls and women a life skill. There are six reconditioned sewing machines in the container waiting to go. 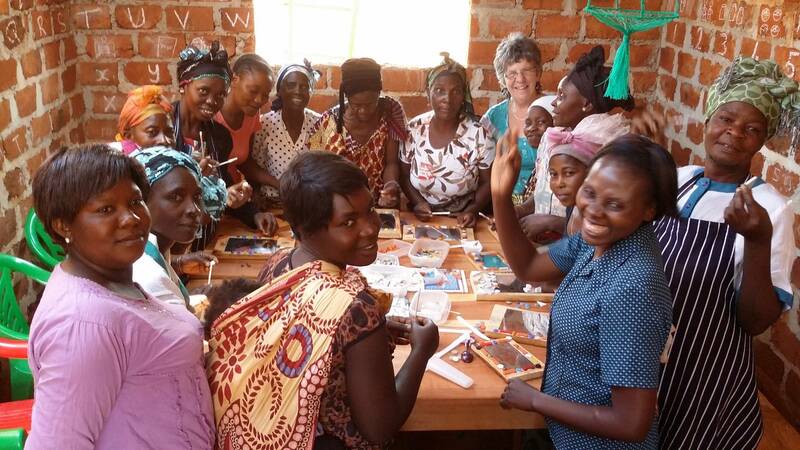 Everyone in Mpongwe took part in a project to create a community mosaic in 2015 and in the container is equipment to teach and make mosaic art to decorate a sanitary pads factory that is under construction. There is enough equipment in this container to affect thousands of lives. Please help us with any donation you can afford to ship these supplies to those who need it as soon as possible! 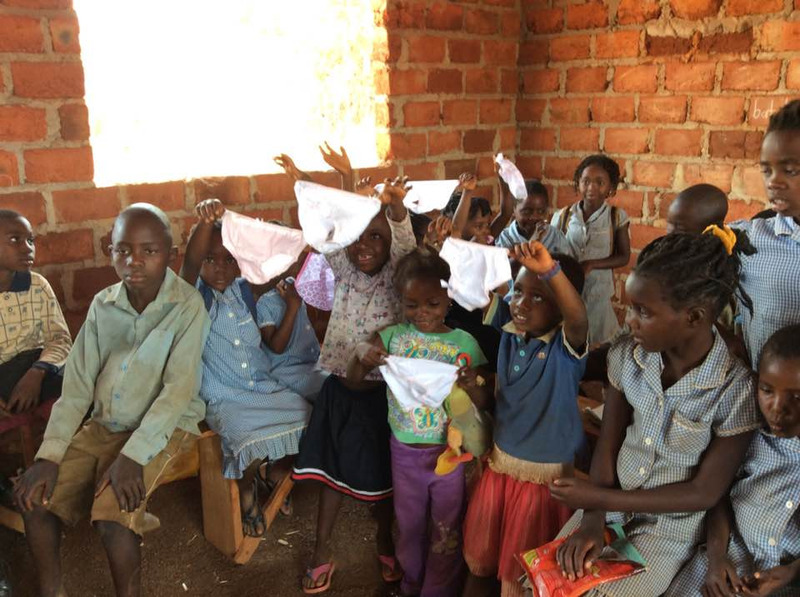 A huge thank you from all of us at the Mumba Children's Project.